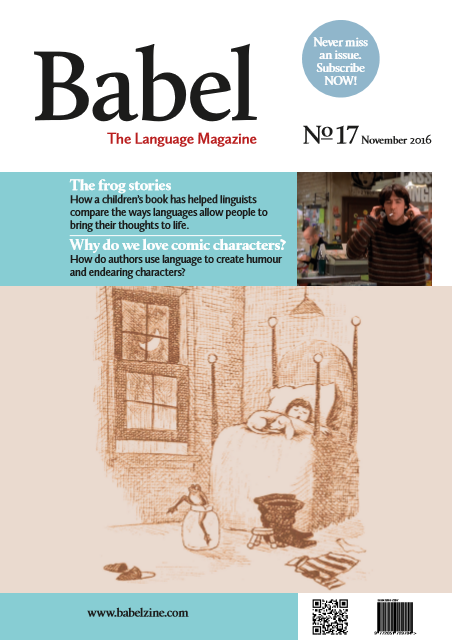 Babel Magazine Babel - Issue 17 Babel No17 (November 2016) Articles Romansch - Emma Jewell discusses the history and culture of Romansch The Frog Stories - Jane Lugea on the ‘frog story’ methodology Life in Death - James Akka looks at three stories of language birth Why Do We Love Comic Characters? - Agnes Marszalek explores the language of narrative comedy Metaphors the Market Lives By? - Maria Muelas Gil explores the language of English and Spanish news reports • UK Delivery including postage £7.00 • Europe Delivery including postage £10.00 • Rest of the World Delivery, including postage £12.00 Please select the number of copies required and your geographical location below to add to your shopping cart.